Switzerland – Moulds for producing plastic parts require good thermal conductivity, high hardness and easy machinability. 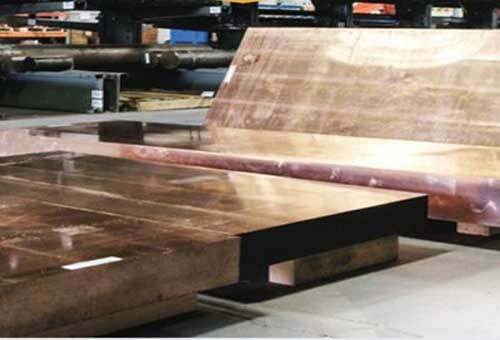 A new nickel-silicon-chromium copper alloy, designated as Ampcoloy 944, offers the best combination of properties, the supplier says. Ampcoloy 944 is beryllium-free alloy that is said to offer high thermal conductivity (160 W/mK – 4 to 5 times higher than P20 steel), good corrosion resistance (both to plastic contact and to the ambient environment as well as during shutdown/storage), great hardness (280HBW – similar to pre-hardened P20 steel) resulting on great wear resistance and metal compatibility with tool steel, as well as easy machinability for an alloy displaying such mechanical properties. According to Ampco Metal, typical applications include mould tooling for plastics processing , highly suitable for the injection and blow mould inserts for a wide range of plastics materials due to the alloy’s very good corrosion resistance to PVC resins as well as excellent results in thermoforming. Ampcoloy 944 requires no additional heat treatment and can be used for applications demanding higher hardness levels as cores, core inserts, cavities-inserts, runner-less moulding systems, hot runner nozzles, core pins, blow pins, ejector sleeve core combinations, sprue bushings, neck and tail pinch offs.